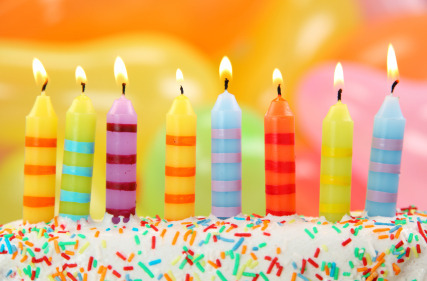 Happy 8-Year Blogiversary to Life After College! I cannot believe it, but this month marks the TEN YEAR anniversary (!!) of the Life After College website, and 8 years of blogging. What an incredible, wild ride! In lieu of cupcakes and in keeping with our year-end tradition, this final 2015 post is a round-up of our biggest updates and favorite Life After College content. Frustrated trying to figure out your “life purpose”? Try this one. Paul Angone—All Groan Up: This year my second book released: All Groan Up: Searching For Self, Faith, and a Freaking Job! And it only took me 10 years to see it happen! :) All Groan Up is basically my full, unedited heart and story on paper, and it's been amazing to hear how it's encouraging and speaking to other people's heart and story. Then my first book 101 Secrets For Your Twenties was translated for Thailand and India, and just recently Cameron Candance Bure AKA DJ Tanner from Full Houseshared it on her Instagram and Facebook pages! Signature Sauce: I launched and took the first group of 50 students through Finding Your Signature Sauce–an online course and community to help you uncover the 10 ingredients inside of you to live where your passion, purpose, and career collide. Check out a free 3-part video course called UnStuck: Crush the Things Holding You Back to get a feel for what the course is like and start doing work you love. Melissa—Launch Yourself: I'm so honored to be a part of the Life After College community and 2015 was a year of quiet work, change and having an attitude of abundance instead of "no." Around the beginning of Q2, my career/business focus changed dramatically - I was asked to take on a more "corporate-y consulting" role, and instead of my automatic no, I said yes. I've been knee deep in using a different side of my brain and building what will be new in 2016 - MConnected Communications. This year was filled with a lot of launching through coaching and many Launch Plan Accelerators, and lots of web coding. Oh, and I was called a millennial at work for the first time, which is greatly shaping my plans for 2016 and confirmed that I'm exactly where I need to be. Marisol Dahl: 2015 has been amazing! I graduated in May and moved back home to New York, still unsure where my immediate life after college would take me. Throughout the summer I steadily grew my freelance business in digital marketing and communications—under Jenny's wonderful mentorship!—and am now doing that full time. I am growing into my own identity as a solo entrepreneur and am enjoying all the big "adult" experiences that post-college life brings. Happy New Year everyone! Davis Nguyen—Beginning Life After College: This year, I became the first person in my family to graduate from college and in the process fulfilled the 25 year American dream my family started when they fled from Vietnam. After graduating, I used money I saved up from summer work to travel, discovering the world and myself. When my world tour concluded, I settled into San Francisco, started work, and officially started my Life After College. I am excited to make 2016 even better than 2015. I'm coming up on five years of self-employment in March! Leaving Google in 2011 (see: From Six Figures to Suitcase Part 1 and Part 2: On Big Decisions and Very Real Fears) was a tough decision to make, but I haven't regretted that choice even in some of my lowest moments of solopreneurship. That said, in 2013, two years in to running my own business (affectionately nicknamed Jenny Blake Enterprises) I still hit another wall of "What's Next?" and struggled mightily to answer the question. That search, and my desire to make it easier on others, has inspired my next book . . . Momentum: In April doors officially opened for Momentum, my private community for side-hustlers and solopreneurs. I’m so grateful for the amazing group of founding members and for our exchanges—we share quarterly goals, give and receive business feedback, weigh in on each other's logos and websites, and share our latest-greatest books and tools. I also host private office hours, a monthly webinar with special guests, and answer questions via short audio clips that live in a Q&A with Jenny library. If you're looking for some momentum, community and accountability in 2016 we'd love to have you join us!! Podcast: The Pivot Podcast went pro! When I first started the Pivot Podcast, I kept it super simple—using an iPhone headset and uploading to SoundCloud. But this last quarter, I’ve been hustling to take it to the next level: including intro and outro music, using more sophisticated audio techniques, and finally listing it on iTunes. Catch up on past episodes, and subscribe and stay tuned for tons more in 2016! If you like the show, I would be very grateful for a rating and/or review in these early days of getting it off the ground. Lucent Pivot: In August we sunsetted Lucent as a mobile app, and pivoted to Lucent List, hitting on one of our greatest strengths of curating content related to meditation and mindfulness. Check out our new Tumblr page and subscribe for all the latest in the world of meditation. What Do You Daydream About? Life Origami: Can You Delight in the Slow Unfolding? The entire LAC team and I are beyond grateful for your company this year. Thank you for reading, commenting, and sharing your own life after college adventures with us! If you have a quick minute, we’d love for you to fill out our super-short two-question survey, so we can make Life After College better than ever in 2016! We value your feedback immensely and want to make sure we're delivering content you love. Newer PostDrifting Away from Your New Year's Resolutions? Here's how to reset. Sign-up for a twice monthly curated round-up of the best tips, must-have tools, books, podcasts, and resources I dig up 'round the web. You'll also get a sample chapter from my book, PIVOT: The Only Move That Matters is Your Next One, and an inside look at what goes on behind the scenes of my life and work. I promise never to spam you, and only to send insanely helpful emails. Still on the fence? Check out the archives.